When we evangelize, we are typically concerned—rightly—about making sure our hearers understand the whole thing is a gift from God rather than something that they themselves do. We want to make sure they know it’s 100% grace and 0% works. And so, in the effort to make sure everybody’s clear on that and nobody gets confused, we decide to distill the process down to barest essence. 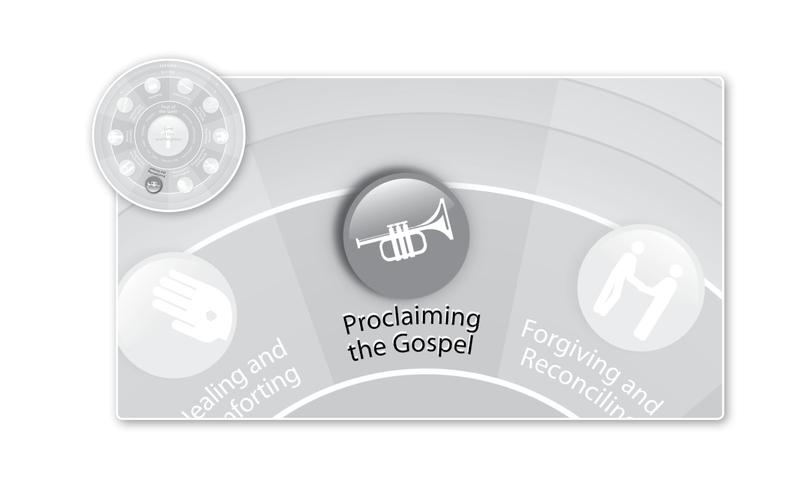 Meaning: if it’s not essential for salvation, we don’t talk about it. Or if we talk about it, we separate it out from the main conversation or we downplay it. Baptism? Um, not essential, we think. And potentially divisive—the whole immersion versus sprinkling thing. So let’s not talk about it up front. Church attendance? Not essential, we think. And people might think that going to church is what makes them a Christian. So we better be careful if we bring up church. Works. Definitely a no-no!, we think. Ephesians 2:10 may say that we are created in Christ for good works, but bringing that up at the beginning is sure to cause people to think that they have to earn their way to heaven. So let’s emphasize that good works aren’t going to fix anything here. Repentance. Dangerous territory, we think. We need the godly sorrow part, but we have to be very careful lest we give people the idea that if they fix what’s broken in their lives, their relationship with God will be repaired, too. So we’d better stress the futility of works again. It’s almost like child proofing a room: if the kid can hurt himself on it, take it out, cover it up, or point to it with a frown on your face! Now, if you had to be left with one word, that’s a good one. After all, you can make a pretty convincing case that faith is really the length and breadth of what’s needed in response to the gospel proclamation. But here’s the challenge: from the Scriptures to the early church fathers to the Protestant Reformers, faith is consistently portrayed as arising out of something, heading somewhere, and bearing fruit. So while faith is the essence of the thing, it turns out that—when it’s genuine—it never shows up alone. There’s a context for it, in other words. A trajectory. A point. An origin. And it turns out that it’s part of a process that’s entirely saturated in grace. Meaning that, as we’ll see in the following points, if we really and rightly understand everything from baptism to church membership to works to repentance, they’re no less about grace than faith is itself. That’s why instead of trying to distill everything down to faith, the Scripture—and the early church fathers, and the Protestant reformers—actually put a lot of thinking and effort into not leaving out the context and all the things that come along with faith. Rather than child proofing the room by removing everything that wasn’t actually necessary, they decorated the nursery beautifully! And we should, too. All we need to do is to stress that the whole nursery—everything possible good thing you can experience in the Christian life—comes from God and not from us. Despite our worries, if we proclaim that well, our hearers really will understand that. And if they stick their finger in the electrical outlet and accidentally shock themselves with a jolt of works righteousness, well, that’s what parents are for. The church father Gregory of Nyssa put it this way. He said that “faith is the only condition of conversion, yet true faith is preceded by repentance and evidenced by acts of love. Repentance in itself does not atone, but begins to open the recipient to the benefits of Christ’s atonement. Repentance is a turning away from sin, while faith is a turning toward grace. Together they constitute a single decisive turning” (Oden, 579)—and there’s no one part of it that is more or less grace-filled. And there’s no reason to leave any of it out. The early Lutheran writer Philip Melancthon said that “repentance and faith are so inextricably joined together in scripture that it is impossible to assign to one or the other a temporal or logical priority” (Oden, 579). Receive the gift of the Holy Spirit (Oden, 563). And then they went on to explain these things so that everyone would understand that each of these come from God and none of them come from us. And they turned out some pretty good Christians in those days, even though some of them did manage to electrocute themselves there in the nursery. But along the way they left us some really great writings about repentance, and belief, and baptism, and the remission of sins, and the gift of the Holy Spirit. They expected we would take the time to understand them carefully and pass them on each time God used us to make new Christians. It’s fair to look at that list—even as short as it is—and think, “So I’m supposed to explain all those things as part of a basic gospel proclamation?” And the answer is, no, for two reasons, really. First, because the Scriptures and the early church fathers and the Reformers didn’t make Christians through basic gospel proclamations. It turns out that a new birth has a bit longer gestation period than the length of a sermon. Second, as we’ll talk about in our next post, the subject of their gospel presentations wasn’t repentance, belief, baptism, or the receipt of the Holy Spirit. It was the victory of Jesus. This entry was posted in Uncategorized and tagged Christianity, Church, Discipleship, Evangelism, Faith, Gospel, Jesus, Proclaiming the Gospel, Whole Life Offering. Bookmark the permalink.